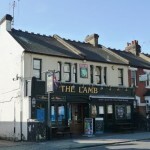 Crown & Anchor in Enfield has accommodation. The pub has a beer garden, it has an outside area. Crown & Anchor has a smoking area. The pub has a dart board, it has a pool table. Crown & Anchor has a big screen. The pub shows football on TV, it has Sky Sports. Crown & Anchor has terrestrial TV. 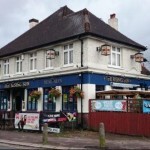 Three Crowns in Enfield has aircon. The pub has a smoking area, it has live music events. Three Crowns has a pool table. The pub has a big screen, it shows football on TV. Three Crowns has Sky Sports. White Horse in Enfield has an outside area. The pub has a smoking area, it has a dart board. White Horse has a pool table. The pub has a big screen, it shows football on TV. White Horse has Sky Sports. The pub has terrestrial TV. 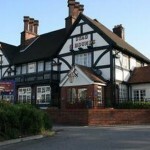 Bull Inn in Enfield has accommodation. The pub has a beer garden, it has a car park. Bull Inn has an outside area. The pub has a smoking area, it has free WiFi. Bull Inn has a dart board. The pub has a pool table, it has a big screen. Bull Inn shows football on TV. The pub has Sky Sports, it has terrestrial TV. 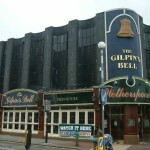 Gilpins Bell in Enfield has a beer garden. 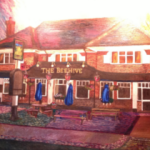 The pub has disabled facilities, it is a family friendly pub. Gilpins Bell serves food. The pub has an outside area, it serves real ale. Gilpins Bell has free WiFi. The pub has a big screen, it shows football on TV.